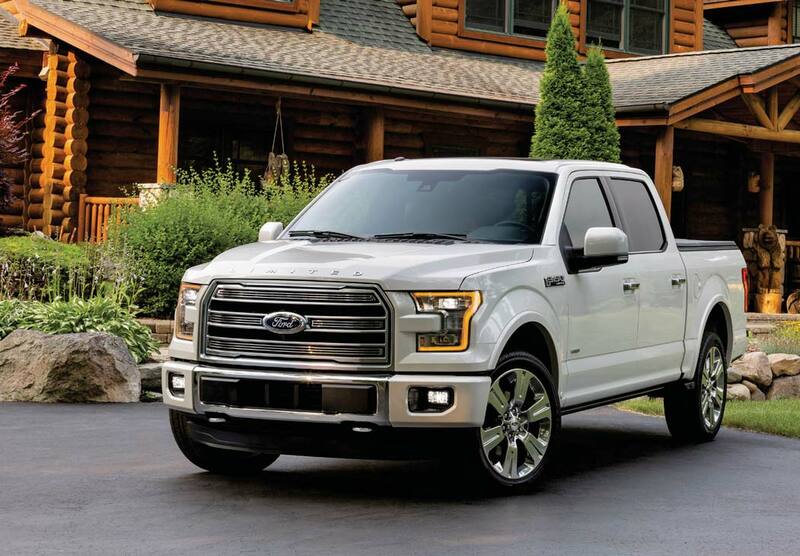 The all-new 2016 Ford F-150 introduced a new aluminum body to the Ford lineup. The military-grade aluminum reduces the trucks’ weight by up to 700 pounds allowing it to be more agile and fuel efficient while making it more durable and powerful than previous models. The Ford F-150 can now tow more than any other light-duty pickup truck – up to 5,534 kg (12,200 pounds). Regardless of model configuration or engine choice, every truck customer benefits from up to 700 pounds of weight savings the new truck delivers. This is projected to have fuel economy ratings in the range of at least fivr percent and as much as 20 percent better gas mileage than today’s truck, depending on the model. 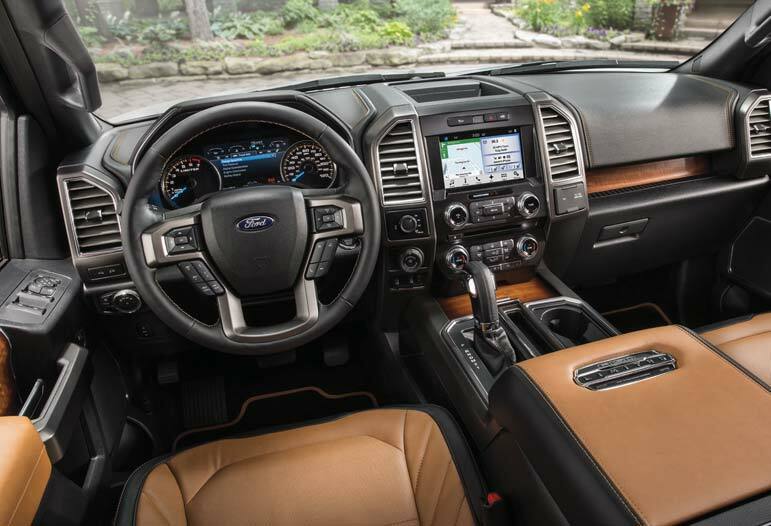 With all the latest in electronics, the fully-equipped F-150 models offer luxury that rivals the top of the line touring sedans and SUVs. New for 2016 is a 360-degree camera view that uses exterior cameras to create a bird’s-eye view of the truck to help drivers park, maneuver in tight spots, and navigate narrow roads and trails. Integrated loading ramps enable easy loading of ATVs, motorcycles and mowers. BoxLink combines metal brackets and custom cleats to secure a variety of accessories in the cargo box – from ramps to storage bins to bed dividers. Ford introduced the first trailer sway control for the 2009 Ford F-150, the Ford system senses differences in movement between truck and trailer, using the wheel brakes in both vehicles to counteract sway. In 2015 they added Smart Trailer Control to the truck’s productivity screen to show the driver which lights on a trailer connected to the truck aren’t working – meaning the driver or a passenger doesn’t have to get out of the truck and walk around the trailer. Backing up a trailer can be tricky. This is the most unwelcome part of towing your trailer. The truck’s front wheels have to be turned the opposite direction the driver wants the trailer to go. Turn too hard and the trailer can hit the vehicle, or jackknife. Whether working alone or with a spotter, backing up a trailer can be a tension-filled ordeal. Pro Trailer Backup Assist helps take the frustration out of backing up. This makes it easier for drivers of all skill levels to back a trailer up to park an RV or in a campsite. 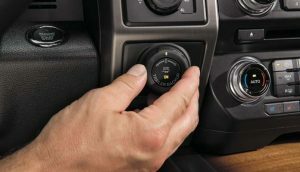 The Pro Trailer Backup Assist knob controls the truck steering to make reverse steering with a trailer more instinctive. The technology allows drivers to steer a trailer instinctively by turning a knob left or right to indicate direction; the truck controls its steering and limits vehicle speed. Ford engineers developed the system leveraging advanced camera technology and tested it for almost a decade. The technology automatically steers the truck to turn the trailer the desired amount. The system may limit vehicle speed to enhance occupant comfort over various road surfaces. The result is less time required to back up a trailer with improved confidence – it even helps towing experts by reducing time lost to maneuvering mistakes. 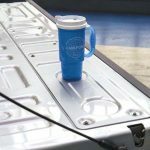 Now you can tailgate with the convenience of cupholders! Have you entered a curve and found that you are going too fast? Curve Control helps drivers maintain control of their vehicle by automatically reducing torque and applying four-wheel braking. This can reduce vehicle speed by up to 16 km/h (10 mph) in approximately one second – assisting drivers in staying on their intended path. The available lane-keeping system is designed to help prevent a driver from drifting outside of the intended driving lane. The system is designed to detect the left- or right-hand road lane markings using a camera mounted between the windshield and rearview mirror. A vibration in the steering wheel is used to alert the driver. The system can also provide steering torque to help guide the vehicle back into the lane if needed. Adaptive Cruise Control is a gift on long trips when you follow other vehicles that don’t maintain a constant speed. Segment-exclusive adaptive cruise control and collision warning with brake support uses radar in the front of the truck to measure the distance and speed of vehicles detected ahead. Using this information, the F-150 can automatically maintain a consistent following distance set by the driver. The speed will be maintained if adaptive cruise control is activated and the vehicle is traveling at least 24 km/h (15 mph). Collision warning triggers visual and audio alerts if the system detects the following distance is diminishing too quickly and a collision may occur. It also pre-charges the brakes if the driver needs to stop suddenly. The new 2016 Ford F-150 is the toughest, smartest and most capable F-150 ever. New LED headlamps and LED tail-lamps provide excellent nighttime visibility, and the Trailer hitch assist adds a new rearview camera feature that incorporates a dynamic line based on steering wheel angle in the display to help customers line up their truck and trailer with no spotter or need to exit the vehicle. The 2016 Ford F-150 is available with four choices of powertrain. The 2.7-litre EcoBoost® V6 with standard Auto Start-Stop that produces 325 horsepower and 375 lb.-ft. of torque and a maximum pay-load rating of 2,250 pounds with maximum tow rating of 8,500 pounds. 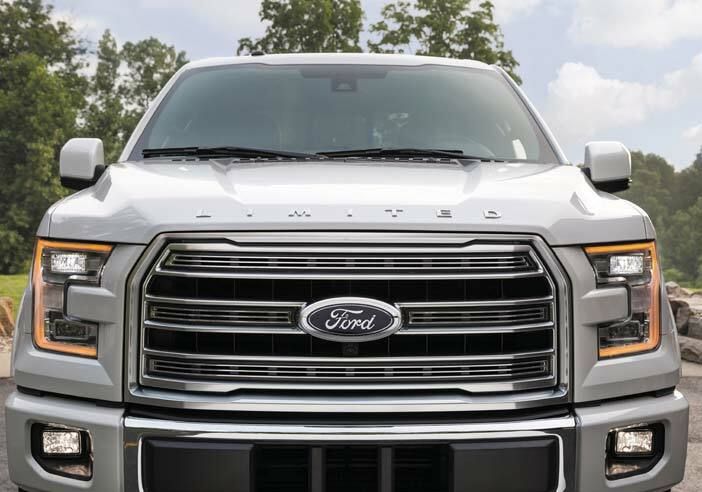 The 3.5-litre EcoBoost twin-turbo engine delivers V8-like 420 lb.-ft. of torque and 365 horsepower to enable towing of up to 12,200 pounds – more than enough to handle a fully loaded, three-horse trailer or large RV trailer. It has earned an industry-leading maximum payload rating of 3,180 pounds. The 5.0-litre V8 with twin independent variable camshaft timing has improved power and efficiency, delivering 385 horsepower and 387 lb.-ft. of torque. Smart engineering enhancements such as a new long-runner intake manifold, revised intake cam duration and new pulse-separated exhaust manifolds help raise towing capability by 1,100 pounds to a maximum 11,100 pounds, and payload to 3,300 pounds. The 3.5-litre V6 with twin independent variable camshaft timing produces 283 horsepower and 255 lb.-ft. of torque. It has a maximum payload of 1,910 pounds and maximum tow rating of 7,600 pounds – unsurpassed for standard V6 light-duty pickup trucks. The F-150 supercab is available with either a short or a long box in 4×2 or 4×4 configurations. The short box has an overall length of 232 inches, and a height of 76 inches and carries 23 US gallons (86 litres) of fuel. The new 2016 Ford F-150 is more than the toughest, smartest and most capable F-150 ever. 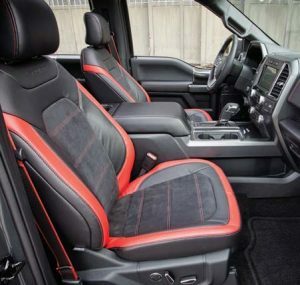 The F-150 King Ranch, Platinum and Limited editions offer passenger convenience features rivaling high-end luxury vehicles, making F-150 versatile and exceptionally comfortable to drive. For the last 24 years, Garth Cane has been the Technical Director for RV Lifestyle Magazine. 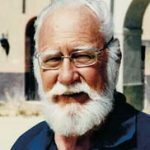 He is a member of the Automotive Journalists Association of Canada, was professor of the Apprenticeship program for RV Service Technicians in Ontario. He volunteers as Chairman of the CSAZ240 and the Recreation Vehicle Safety and Education Foundation. Previous articleRV PRODUCTS – New Gear! BMW Designworks and the North Face Collaborate on Camper.